We are a Montessori based preschool educating young children between the ages of 2-6 years. 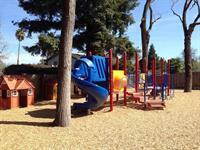 Our mission is to provide the best possible Montessori based education and learning environment. We strive to create life-long learners through encouragement and building of close mentoring relationships. 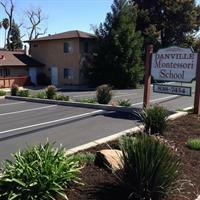 Danville Montessori School follows the Montessori method of education and we are affiliated and certified with the American Montessori Society. We are a smaller school environment serving about 48 students per day. Through the Montessori curriculum, we teach a variety of subjects including: language, math, phonics, geography, botany, zoology, and science. In addition to Montessori curriculum we also provide a variety of extra-curricular activities including: computer class, art class, music & movement, gymnastics, Mandarin & Spanish foreign language and much more! Our mission in educating young children is to provide the best possible environment and curriculum available to help form a strong and balanced foundation of academic, social and cognitive development in every child we serve. We are conveniently located along side the 680 freeway off of the Sycamore Valley Exit on Camino Ramon in Danville.